Emperor Sigismund, aged approximately 65. Sigismund of Luxembourg (15 February 1368 in Nuremberg – 9 December 1437 in Znaim, Moravia) was Prince-elector of Brandenburg from 1378 until 1388 and from 1411 until 1415, King of Hungary and Croatia from 1387, King of Germany from 1411, King of Bohemia from 1419, King of Italy from 1431, and Holy Roman Emperor for four years from 1433 until 1437, the last male member of the House of Luxembourg. Sigismund von Luxembourg was the leader of the last West European Crusade – the Crusade of Nicopolis of 1396 to liberate Bulgaria and save Constantinople from the Turks. Afterwards, he founded the Dragon Order to fight the Turks. He was regarded as highly educated, spoke several languages (among them; French, German, Hungarian, Italian, and Latin) and was an outgoing person who also took pleasure in the tournament. Sigismund was one of the driving forces behind the Council of Constance that ended the Papal Schism, but which in the end also led to the Hussite Wars that dominated the later period of Sigismund’s life. During the period of internal wars in Hungary, relations between the kingdom and its neighbours changed profoundly and irreversibly. Ottoman expansion reached Hungary in 1389 and the kingdom was soon compelled to adopt a defensive policy to counter this threat. From this time until the catastrophe of Mohács, Hungary lived, almost without interruption, under the constant menace of Ottoman raids and invasions, which, besides straining her economic and military forces to the limit, also led to internal conflicts. Proud of their ancestors’ warlike traditions, the nobility found the necessity of a defensive policy unacceptable. They demanded the same offensive attitude towards the Ottoman empire as had for so long prevailed towards others. The failures that were bound to follow were invariably blamed on those who happened to be in power. In early 1389, Lazarus, prince of Serbia, confirmed his allegiance to Sigismund, but he was killed in June at the battle of Kosovo, and his son Stephen Lazarević soon became an Ottoman vassal. In early 1390 Turkish troops devastated the region of Timişoara, in 1391 they did the same in Srem, and thereafter their incursions became regular occurrences. Sigismund took the threat seriously from the very first moment. As early as the autumn of 1389 he led an expedition to Serbia, taking Čestin and Borač by siege, and he repeated the action in 1390 and 1391. In 1392 he pushed forward as far as Ždrelo, but Sultan Bayezid, who arrived there in person, refused to give battle. In 1393 the barons led a campaign along the southern frontiers, and Sigismund was also there in August 1394. In early 1395 he mounted an expedition against Moldavia and forced its prince to submit, but this success proved only temporary and Moldavia soon shifted back under the influence of Poland. By this time Wallachia had passed temporarily under the suzerainty of the Ottomans, who raided Transylvania for the first time in 1394. Mircea cel Bătrîn, prince of Wallachia, who had hitherto opposed Hungary with Polish support, asked Sigismund for help in order to regain his land. On 7 March 1395, in Braşov, he agreed to be a vassal of Hungary. However, on 17 May the Hungarian army sent to Wallachia was defeated and its commander, Stephen Losonci, killed. In July Sigismund himself invaded the province, restored Mircea to his throne and recovered from the Ottomans the castle of Minor Nicopolis on the Danube. These wars were exhausting and yielded only meagre results. Consequently, Sigismund decided to settle the Turkish problem once and for all. He set about organising a major enterprise with the ambitious aim of driving the Ottomans out of Europe. In 1395 his envoys made a tour of the courts of Europe and an embassy may also have been sent to the Mamluk sultan of Egypt. As a result of these efforts the Pope declared the planned expedition a crusade, and by the summer of 1396 an army of considerable size had assembled. Alongside the Hungarians and their Wallachian auxiliaries, the core of the army was made up of Frenchmen, with John of Nevers, heir to Burgundy, at their head, though knights also came from Germany, Bohemia, Italy and even England. In August the army, led by Sigismund, invaded Bulgaria along the Danube and laid siege to Nicopolis. Bayezid, leading the counter-attack in person, marched to relieve the beleaguered castle, and it was there that a European army faced the Ottomans for the first time. The battle, which for a long time was to determine the nature of Hungaro-Ottoman relations, took place on 25 September 1396. The crusader army was virtually destroyed, allegedly as a consequence of the ill-considered actions of the French knights. As for Hungarian casualties, several barons were killed, Palatine Jolsvai captured, and Sigismund himself barely escaped with his life, fleeing on a ship to Constantinople and returning by sea to Dalmatia in January 1397. The catastrophe of Nicopolis demonstrated that the Ottoman empire represented a power against which Hungary was unable to wage an offensive war, even with support from abroad. The hope that Ottoman attacks might be stopped through a single determined effort vanished. From this point on priority was given to defence rather than to offensive campaigns. The kingdom had to learn how to live with the constant menace of Turkish incursions. The Ottomans did not try to conquer Hungary for a long time. In contrast to the Balkan states, which were easily crushed, the kingdom was to remain a rival of the empire right up to the end of the fifteenth century. For the time being it was not Hungary’s existence that was threatened but the supremacy that it had been able to impose upon its southern neighbours. However meagre the palpable results of Louis the Great’s wars had been, they had demonstrated that Bosnia, Serbia and Wallachia belonged to Hungary’s sphere of influence. The Ottoman conquest caused Hungary to lose this position: instead of launching offensive campaigns, the kingdom was forced now to defend itself. Nor should the humiliating effect of the Turkish incursions be underestimated. Hungary, which had not suffered a major external attack since the Mongol invasion, now found herself exposed to plundering raids by the Ottomans year after year. The immediate consequence of the defeat of Nicopolis was a revolt by the Lackfi. The former palatine, who had been deprived of office since 1392, contacted Ladislaus of Naples and was joined in his conspiracy by his nephew, Stephen Lackfi junior, and by a grandson of Ban Mikcs. But that was all the support he could muster. The rest of the league remained faithful to the king, who was therefore able quickly to put down the revolt after his return. The two Lackfi were enticed to the royal court and killed there in February 1397, and the enormous wealth of their family and of their supporters was confiscated. From this time on Sigismund became increasingly determined to rule alone. The barons of the league were slowly but steadily pushed aside. Only Kanizsai and Detricus Bebek, the new palatine, remained in office after 1398. Their place was taken by hitherto unknown persons, partly from the household, partly from abroad. Immediately after the suppression of the revolt the king took into his service Count Hermann of Cilli (Celje) from Styria, who was to remain his closest confidant (before even Stibor) until his death in 1435. Cilli was given, as hereditary grants, first the town of Varaždin in 1397, then the district of Zagorje in 1399. From this time on, he and his successors gave themselves the title ‘count of Cilli and Zagorje’ and were the greatest landowners in Slavonia. Cilli’s staunch ally was Eberhard, a cleric who probably came from the Rhine region and who in 1397 was appointed bishop of Zagreb. He summoned to Hungary his nephews, lords of Alben in Germany, and persuaded the king to invest them with large estates. It was in 1398 that Filippo Scolari, who was the Buda representative of the trading house Bardi of Florence, was engaged by Sigismund. He was a count of the chamber for the time being, but was later to make an astonishing career under the name of Pipo of Ozora. Sigismund’s endeavour to enlarge his independence manifested itself no less in his reforming activities. In October 1397, in response to the disaster of Nicopolis, he convoked a diet to meet at Timişoara with the intention of organising effective defence against the Ottomans. Forty-five of the 70 articles that were accepted simply reiterated the Golden Bull and Louis’s decree of 1351, but the remaining 25 contained important innovations. Whilst being willing to confirm in principle the nobility’s freedom from compulsory mobilisation for an offensive war, he suspended this privilege in view of ‘the great necessity of this kingdom’. He promised that ‘once the present wars are over’, that is, after the Ottoman threat had passed, the nobles would regain their ancient liberties. But for the time being he required them to take up arms ‘in person’, whenever he called them, and to make war on the frontiers, or even beyond, under his leadership or (in his absence) that of the palatine. Those not complying with royal orders would be liable to a fine of one florin per tenant if they had any, and of three marks, equalling twelve florins, per head if they did not. He also ordered that all the landowners ‘must equip, as a soldier should be, one archer from every 20 peasant tenants and lead him to war.’6 With a view to enforcing the edict as smoothly as possible Sigismund ordered a general census of landowners and their tenants in every county. This is the first such attempt that we know of in medieval Hungary, though unfortunately only the roll from the county of Ung has survived. 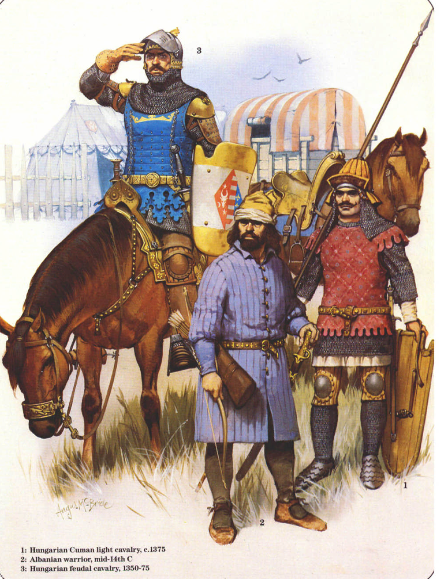 Troops were being raised from landowners according to the number of their tenants as early as 1398. Known as militia portalis, these troops would constitute an important part of the army in the fifteenth and sixteenth centuries. The nobility received little in return for these encroachments upon their liberties. Sigismund agreed not to grant ‘promotions’ of daughters in cases where there was a male heir within the fifth degree of kinship. In another article, he promised that he would remove all ‘foreigners’ from their offices, but stipulated that exception should be made for Stibor, Eberhard and Maternus, bishop of Transylvania. These were, of course, the very persons against whom the protests underlying this article had been aimed in the first place. The burden of war had also to be borne by the Church. Albeit ‘only for the time of the war against the heathens’, the king seized half of all ecclesiastical revenues, the tithe included, promising that the money would be spent solely on the defence of the kingdom.7 Finally, referring to the fact that he had often been forced to yield to extortion in the past, Sigismund had himself invested with the authority to recover all estates that had been given – whether as a hereditary grant or as a mortgage – to persons who had done nothing to merit them; but he would issue special letters patent to his adherents to exempt them from this provision. Although the decree of Timişoara had been prompted by the Ottoman threat, the ultimate insolubility of that problem soon discouraged Sigismund. With growing intensity, his attention was drawn to the affairs of the Luxembourg dynasty. His brother, Wenceslas, had no children and Sigismund could expect one day to succeed him in Bohemia and Germany. In his struggle with baronial leagues Wenceslas frequently turned to his brother for help, and Sigismund did in fact devote much of his time to Bohemian affairs. He went there in person in 1393 and 1396, while in 1397 he took the field against Procop, his old enemy. He left for Moravia at the end of 1399 and having spent nearly a year abroad, only returned in December 1400. In the meantime, the crisis in Hungary had come to maturity. On 28 April 1401 the barons, led by Archbishop Kanizsai and Palatine Bebek, arrested the king in the castle of Buda. They demanded that he should get rid of his foreign counsellors once and for all. 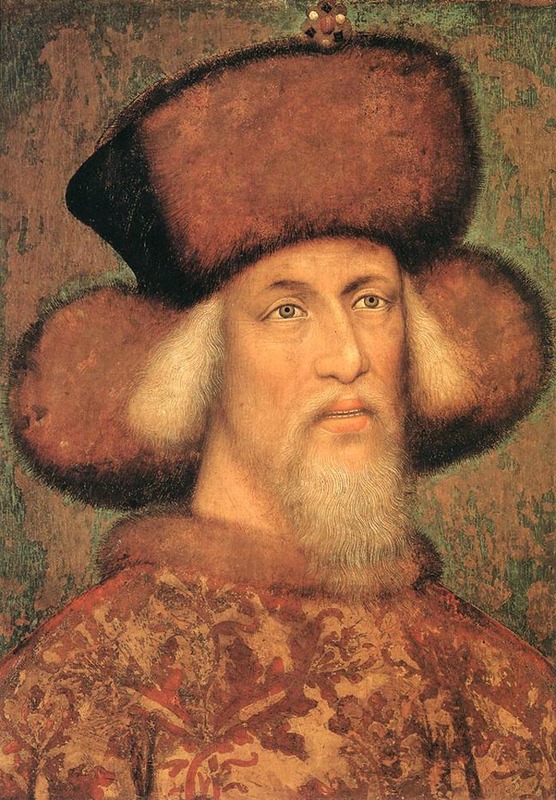 Sigismund refused to yield, preferring captivity, and the government was assumed by the prelates and barons in the name of the Holy Crown, which was now regarded as vacant. Kanizsai took the title of its ‘chancellor’, while the council issued orders under the ‘seal of the Holy Crown’. Various plans were put in motion with a view to filling the throne: Ladislaus of Naples, Wladislas II of Poland and William of Austria emerged successively as possible candidates. However, the barons were unable to come to an agreement, and Sigismund’s captivity did not last for long. It was Nicholas Garai, the king’s faithful supporter, who secured his release on 31 August 1401. Garai brought the king to his castle of Siklós and handed over his own son and brother as hostages. Through Garai’s mediation a compromise was finally agreed upon at Pápa on 29 October, as a result of which Sigismund was restored to his throne. In return he granted immunity to the rebels, and promised to remove his foreign followers with the exception of Stibor, a promise that he was determined to break as soon as possible. Thus it was Sigismund who won the first battle, and Wenceslas, observing events from a distance, was of the opinion that his brother was ‘more powerful than ever before’.8 Acting as if his captivity had never occurred, Sigismund began immediately to reinforce his authority. Not only did he refuse to remove his foreign supporters, but, adding insult to injury, he also became betrothed to the daughter of Hermann of Cilli, Barbara, whom he married in 1405. Since Cilli’s other daughter, Anne, was Garai’s wife, the three families became linked to one another by affinity. Before returning to Bohemia in January 1402, Sigismund took some important security measures, bestowing the most important royal castles upon his adherents. In September he paid a short visit to Pressburg in order to sign a treaty with Albert IV of Austria, who was an old friend. Sigismund designated him as governor of Hungary during the period of his own absence, and made the assembled barons and nobles promise that in the event of his dying without a male heir they would accept Albert as king. He removed Detricus Bebek from the office of palatine, putting Garai in his place, thus disposing of his last enemy, with the exception of Kanizsai, who still held the dignity of arch-chancellor. These measures prompted the leaders of the opposition to take a decisive step. They offered the crown to Ladislaus of Naples, who had already sent troops to Dalmatia in 1402. At about Christmas 1402 they made a solemn oath of allegiance to him at the tomb of Saint Ladislaus in Oradea, and at the beginning of 1403 the revolt broke out. This time the rebels had a real chance of victory. They were led, as in 1401, by Kanizsai and Bebek, but their movement was much stronger than before, for they were joined by the archbishop of Kalocsa, the bishops of Eger, Oradea, Transylvania and Győr, Emeric Bebek, prior of Vrana, son of Detricus, and by nearly all the magnates, with the exception of Garai and some of his kinsmen. The provincial nobility rallied to the revolt in great numbers, and the general feeling of discontent even drove some of the king’s former supporters into opposition. The rebels of the eastern counties were led by the two voivodes of Transylvania, Nicholas Csáki and Nicholas Marcali, both of them the king’s own creations. Against the rebels Sigismund could rely on his barons, his household and the towns, which all remained faithful to him. The most important castles, such as Buda, Visegrád, Pressburg and others were securely held by his foreign captains. Yet his throne was saved by the swift and determined action of Stibor, Garai, John Maróti, Peter Perényi and several other barons who promptly mobilised their contingents and within weeks dispersed the enemy, who had been gathering in rather too leisurely a fashion. At the end of July Sigismund himself arrived from Bohemia, and by the time the army of the eastern provinces crossed the Tisza he had reached Pest. He surrounded Esztergom, Kanizsai’s residence, then had the Holy Crown brought from Visegrád and set upon his head in a public ceremony, making palpable that he was the real lord of the kingdom. King Ladislaus had arrived at Zadar in the company of Angelo Acciajuoli, legate of Boniface IX, on 19 July and was crowned there by Kanizsai on 5 August, but this was too late. He left for Italy as early as November, after appointing one of his supporters, Hrvoje, as duke of Split and bestowing upon him the government of Dalmatia. Sigismund’s authority was never fully restored in this province, a fact that was to bring about its permanent loss by Hungary. The barons could do nothing but surrender. The first to lay down their arms were Csáki and Marcali, who on 8 October mediated an agreement with the other rebels at Buda. The king granted a pardon to all those who would submit before a fixed date, and promised to restore their possessions and to annul the grants that he had made to their detriment during the revolt. Bebek and Kanizsai and their kinsmen, who did not lay down their arms before the term expired, were accorded a special pardon, but some of their castles were confiscated and Esztergom itself taken into royal hands for some years. By the spring of 1404 virtually the whole kingdom had been pacified, only a couple of fortresses continuing to resist the king’s troops. Sigismund’s struggle with his barons ended with his complete victory. He was to have no difficulty in maintaining his control over Hungary during the 34 years that remained of his life. Many years would be spent far away from the kingdom, yet he would never again face opposition. His enemies at home, weakened and demoralised, could only accept defeat and wait for better times. “In early 1389, Lazarus, prince of Serbia, confirmed his allegiance to Sigismund, but he was killed in June at the battle of Kosovo, and his son Stephen Lazarević soon became an Ottoman vassal.” Not really. Lazar (probably) supported Sigismund’s enemies, but eventually made peace with him. His wife/widow Milica became an ottoman vassal AFTER Sigismund betrayed and attacked Serbia in late 1389. (after Kosovo). “it was there that a European army faced the Ottomans for the first time.” I’m not sure if I understand this correctly (English is not my first language). A(n) European army, you mean any European army or just this Sigismund’s army/coalition (the army)? Because Greeks/Byzantines, Serbs, and many others fighting against the Ottomans for decades were certainly ‘Europeans”.